The moment your child was born, you became a member of the IMA, International Mom Association. (Actually the IMA isn’t really a thing. I just made it up.) You survived nine months of indigestion, insomnia, and hormone-induced insanity for this great honor. If you became a mom through adoption, surrogacy, or fostering, you’re also in the IMA after surviving your own set of challenges. Back in 1996 when my first daughter arrived, I thought I was walking into a maternal sisterhood, a community of like-minded mothers with similar thoughts, feelings, and ways of doing things. I thought we’d all sit around in a kumbaya kind of way and agree on what was most important for our kids. There were tiger mothers, attachment mamas, and moms who were a hot mess. (That might have been me.) I met zen moms, cool moms, granola moms, and competitive moms. There were as many dif- ferent moms as cereals in the breakfast aisle at the grocery store. And I found myself scratching my head, like I often do in the cereal aisle, as I asked myself, What kind of mom do I want to be? Great news! You don’t have to wrestle with that question because God has already given you a distinct personality as a mom. He’s as- signed to you a special slice of His image, crafted specifically for your family, uniquely designed to meet their needs. So what type of mom are you? Stabilizer. 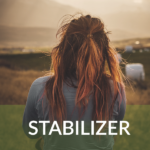 The Stabilizer Mom is patient, pleasant, and people- focused. She’s supportive, understanding, and always there to listen to her children. She likes routine and prefers to work behind the scenes. If she were a belly button, she’d be an innie due to her internal orienta- tion. She keeps her thoughts and feelings to herself, and even internal- izes the pain of others. She’s soft-spoken and an amazing team player. Her family trusts her to be solid as a rock and counts on her to bring calm to the storms of their lives. Connecter. The Connecter Mom is active, enthusiastic, and peo- ple-focused. She loves to talk, entertain, and make you laugh. 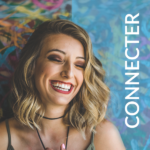 She has a large social network because of her ability and desire to connect with others. She inspires her family with hope and optimism and has a knack for encouragement and persuasion. She’s externally focused, an outie, wearing her emotions on her sleeve and sharing her thoughts (and I mean all of them) with those around her. She is creative, joyful, and super fun. 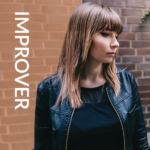 Improver. The Improver Mom is patient, precise, and task-focused. She values quality work and wants the very best for her family. She’s got an eye for beauty that shows up in her artistic endeavors and orga- nized plans. Like the Stabilizer, she’s an innie—she thinks before she speaks and edits her ideas before she shares them. She’s contemplative and cautious, and will analyze all options before moving ahead. She keeps her family out of trouble by keeping an eye on the details and instructing them to follow the rules. Doer. The Doer Mom is active, energetic, and task-focused. She’s a multi-tasking master who loves to get things done. She’s independent, strong-willed, and leads her children with confidence. Her orientation is external like the Connecter, and she prefers her gifts and talents be used for public consumption. She has an amazing ability to make quick decisions, overcome obstacles, and take on responsibilities that other moms wouldn’t attempt. Which type are you? 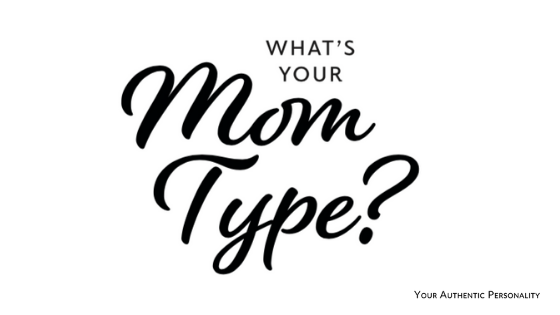 Take the Mom Test to find out.